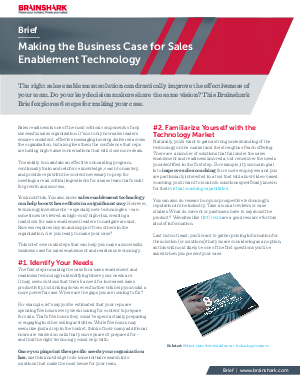 It’s clear that sales enablement is widely recognized as a critical B2B function, with the number of dedicated sales enablement roles more than doubling over the past three years. But such an important job can become overwhelming without the right solution in place. You know technology is the key to ensuring maximum effectiveness. But how do you convince the decision maker and other key stakeholders to get on board with the investment?